Andy Steves grew up traveling with his dad, Rick Steves, the well-known guidebook writer, tour operator and PBS show host. But Andy Steves is now offering his own brand of travel advice and recommendations for a new generation. 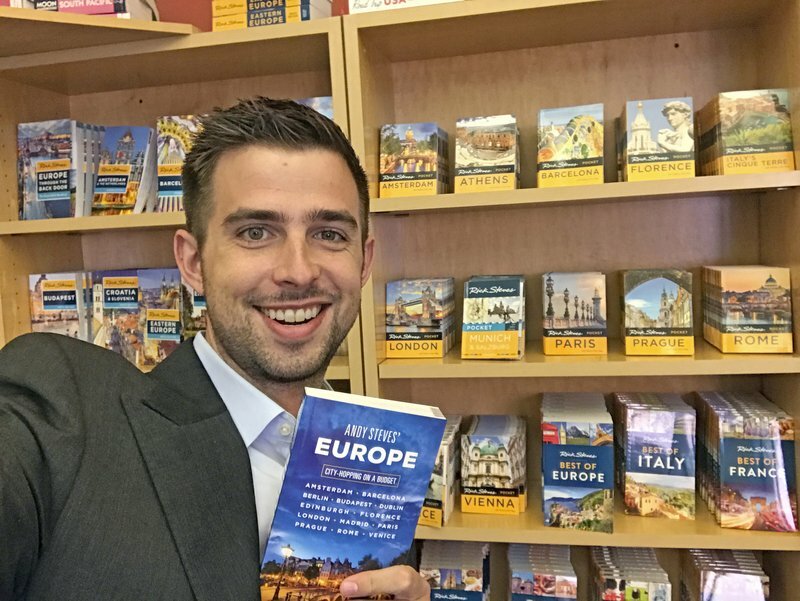 A second edition of his book, “Andy Steves’ Europe: City-Hopping on a Budget ,” has just been published by Avalon Travel, and he offers tours in 18 European cities through his company, Weekend Student Adventures . In college, he worked as an assistant tour guide over the summer for his dad’s company. He also spent a semester abroad in Rome, where he organized short trips to other cities for friends. “That’s when I found my niche to start a travel company for American students studying abroad overseas,” he said. He used his dad’s books for cultural and sightseeing information, but the restaurants and hotels were out of his budget. With his own book, “Andy Steves’ Europe,” he seeks to provide both cultural information and options for “experiencing the modern living culture in each of these amazing European cities.” He’s conscious not only of budget constraints for younger travelers, but also their time constraints. With only two or three weeks of vacation, they’re likely to hop from city to city rather than immerse themselves in one destination. The book also includes a section on technology. While Steves hates the sight of everyone in a hostel community room or bar staring at their phones or iPads instead of interacting, he does encourage travelers to use their cellphones as tools. With Google Translate, “you can speak into this app and it live-translates whatever you’re saying. ... You can also switch over to the camera mode and hold your camera over the menu and it will show you English letters right on your phone screen.” For his own phone use, he suspends his U.S. service for whatever time he’ll be away to reduce monthly charges, then gets a SIM card, a local number and data from local providers abroad so he can easily check museum hours, find good places to eat or make reservations on the fly.